Ghost of New Year’s Future? Two years ago I explained why Richard Russo’s work so profoundly resonates with me, his portrayal of fractured families marching to a similar drum beat as my own. We respond most strongly to works of art that strike a chord of intimacy. At the time I was reading his Bridge of Sighs. I expectantly awaited his next novel, which recently was published, That Old Cape Magic. 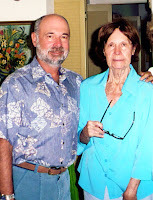 The heart of the novel (for me) can actually be found in the acknowledgments: And finally, my gratitude to my mother, whose recent passing caused me to reflect more deeply on inheritance and all that the word implies. Not to mention love. The novel is about taking responsibility for one’s relationships, for one’s life, reconciling the inner voices of one’s parents. They haunt Griffin throughout the novel until he finally casts off his parents’ ashes into the waters of Old Cape Cod. Like Griffin, I too was the reluctant witness to [my] parents’ myriad quarrels and recriminations. And like Griffin, I had to tip toe around my mother: …even his most benign comments set his mother off, and once she was on a roll it was best just to let her finish. Their respect for his privacy had been, he knew all too well, mostly disinterest. As a young boy Griffin adopts a family, the Brownings, during one of his parents’ vacations on the Cape. (The Brownings had offered the refuge he needed, though any happy family would have probably served the same purpose…) During my childhood I sought out other families, any family, to escape from the oppression of my parents (and the humiliation they caused), who were locked in silent, and sometimes violent combat. Griffin writes a short story “The Summer of the Brownings” later in life in an attempt to understand and exonerate his complicity in the relationship: Far from resolving anything, the Browning story probably just explained how he’d come to be the husband and father he was instead of the one he meant to be. Russo develops a touching counterpoint story to Griffin’s, that of Sunny Kim, a shy Korean boy who loves Griffin’s daughter, Laura, from childhood and towards whom Laura has always shown kindness, even love, but not on a conscious level. Griffin worries about Sunny’s awkwardness and about being somewhat ostracized at his daughter’s birthday party as a child. It clearly reminded Griffin of his own childhood to which his wife, Joy, says “Quit worrying. They’re just kids. They have to figure these things out.” “That’s the problem,” he said. “They already have it all figured out. Who’s cool, who’s not, who’s in, who’s out.” Nobody had to teach them either. And when Laura’s best friend, Kelsey, is married more than a decade later, and Laura is there with her own husband-to-be, Andy, Griffin watches from afar again: Back at the reception tent, when they finally decided to call it a night, Laura had detached herself from her friends, all of whom still crowded the dance floor, and came over to whisper in her mother’s ear that Andy had proposed during that first dance while they’d been watching. It took Griffin’s breath away to think that in the very moment of her great happiness, his daughter had remembered Sunny Kim and come to fetch him into the festivities. And he felt certain that he’d never in his entire life done anything so fine. And, finally, at Laura’s wedding to Andy, Sunny comments that Laura seems to be happy and in love, and Russo leaves the reader with the aching truth: LOVE Griffin thought, smiling. Only love made such a leap possible. Only love related one thing to all other things, putting all your eggs into a single basket – that dumbest yet most courageous and thrilling of economic and emotional strategies. ‘I think she is,’ he said, almost apologetically. His daughter was happy and deserved to be. Yet, sitting here in the dark, quiet bar with Sunny Kim, Griffin couldn’t help wondering if the worm might already be in the apple. A decade from now, or a decade after that, would Laura suddenly see Sunny differently? Griffin knew no finer, truer heart than Laura’s but even the best hearts, as her mother could testify, were notoriously unruly. Would some good, unexpected thing happen in his daughter’s life, something that caused her very soul to swell with pride and joy, whereupon she’d realize that the man she wanted to tell first and most wasn’t who she’d married today but the one who’d loved her since they were kids and who once, in the middle of the night, had trusted her enough to share his family’s shame? Would she understand that such trust and intimacy do not – indeed cannot – exist apart from consequence and obligation? Would she understand then what she didn’t yet suspect, that remembering Sunny Kim at the moment of her own great happiness at Kelsey’s wedding last year had been kind and generous, yes, of course, but also an unwitting acknowledgment of something yet hidden from her? Indeed, as with all relationships, which ones develop as planned? We are after all, at best, improvising as we tumble along life’s journey, especially with our “inheritances” weighing upon us. All families are fucked up, observes Griffin at one point. His relationship with his mother comes close to mine. He is forced to distance himself and his family from her and when his mother suggested she be the one to accompany Laura on the….College Tour, he put his foot down. “I’m sorry Mom,” he said, managing with great effort, not to raise his voice, but failing to keep the anger out of it, “but you don’t get to infect my daughter with your snobbery and bitterness. All that ends here, with me.” It had been a horrible thing to say, full of the very bitterness he was accusing her of. He regretted the words as soon as they were spoken, but there was no taking them back, nor could he quite bring himself to apologize. In fact, that was Griffin’s plan all along: With respect to their families, Griffin had hoped to invoke a simple, equitable policy: a plague on both their houses….He had no intention of inflicting his parents on Joy or, when the time came, on their children. My father’s death became a catalyst in the war’s escalation. My “legal inheritance” was the contents of his desk and when I went back to my old childhood home, where my father had barricaded himself in my old bedroom in the attic, I went through the desk with my mother hovering over me to ensure that nothing “valuable” was taken for my younger son, the son of the “bad wife.” One thing led to another and before I knew it she was screaming obscenities at me and I rushed to my car promising I would never see her again and would never return. I left with my father's penknife, my only "inheritance." I made good on my promise for many years, avoiding any contact with her. Those were among the our most peaceful family years, not something I was particularly proud of, but necessary – as Griffin felt, protecting his family from bitterness and derision. One day I received a Valentine card from her – at my office to avoid acknowledgment of my new family -- and began to get calls from her there as well, which always started off in a strained pleasant way and moved quickly to strident tirades. I was forced to write her a letter to put an end to that. Richard Russo, if you are reading this, feel free to incorporate any part in a future novel and thank you for understanding us Griffins of the world. The last picture of my mother and myself before she died.